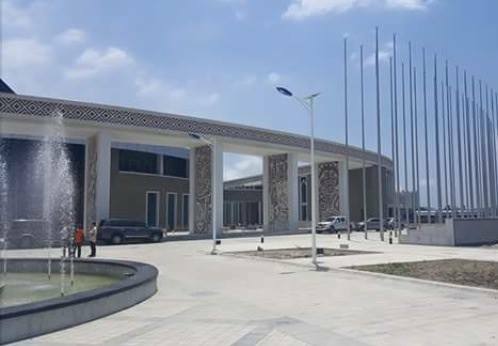 PRIME Minister Peter O’Neill yesterday officially opened the two multi-million kina Chinese-aided projects, the International Convention Centre and the K110 million six-lane highway in Port Moresby. The Chinese Government gave K20 million to the PNG Government to maintain the international convention centre which will be used for the 2018 APEC Summit in November. The Chinese Government spent K20 million in maintaining the centre to standard because China President Xi Jinping is coming for his first State visit and later to attend the APEC Summit. The initial project had China Government spend K70 million to build and opened it in 2016. President Jinping will join all other 21 leaders who have accepted their invitation to come to PNG for the APEC Leaders’ Summit. Initially, China assisted PNG in setting up the landmark building, built by China Jiangxi Corporation for International Economic and Technical Co-operation (CJIC), a large scale Chinese state-owned contractor. The project was estimated to cost about K70 million, and an addition K20 million has been given to maintain it to standard. It is China’s largest single aid project in PNG and the Pacific. The International Convention Centre was used for the Asia, Caribbean and Pacific meeting three years ago including international events and cultural events and activities. It will be used throughout the duration of the APEC year to host part of the 200 meetings leading up to the CEO Summit and 2018 APEC Leaders Summit. Mr O’Neill said PNG was experiencing an infrastructure revolution and this revolution has seen the building of roads, wharves and ports, expansion of the airports, schools, government buildings and hospitals.